Need a Price? Use the form. 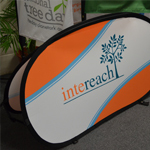 Assembling customized teardrop banners can be intimidating. 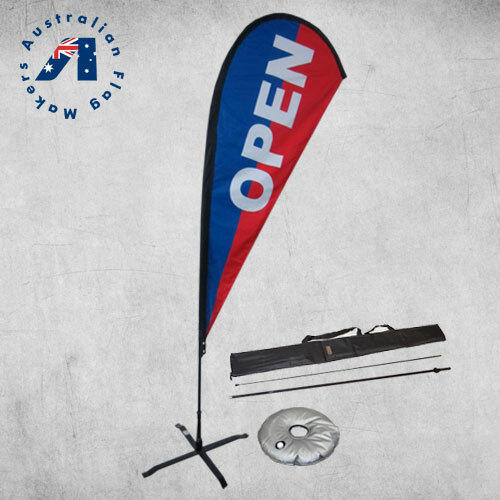 Spend less time on assembly and more time running your business or event with a teardrop banner from Australian Flag Makers. 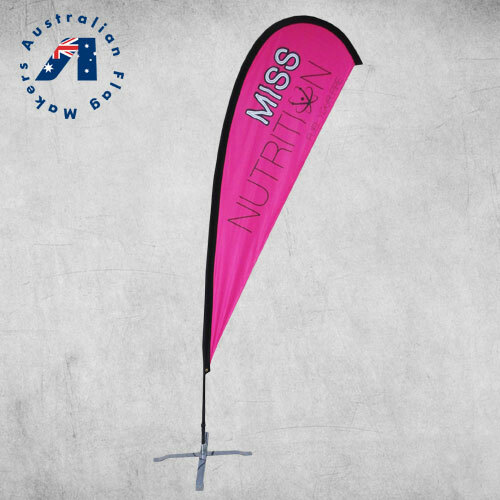 Not only are our Teardrop banners extremely fast and easy to put together, the flags, bases, and poles are interchangeable. 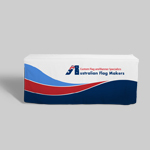 When it’s time to order a new design, simply place your order and we’ll provide you with a new flag. There’s no need to purchase another pole! To get started, order a single pole set. 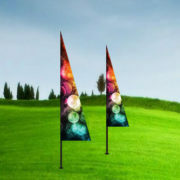 Then, purchase as many teardrop flags as you want! 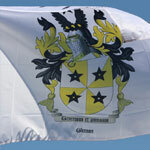 Looking for a flag with a slightly different look? 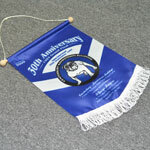 Our feather banners utilize a different style, but they are still interchangeable with our full line of teardrop flags. 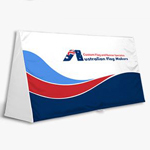 If you’re looking for something with straight lines, consider a rectangle banner flag. 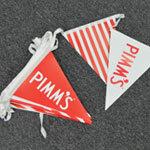 They are completely interchangeable with our teardrop banners and feather banners. 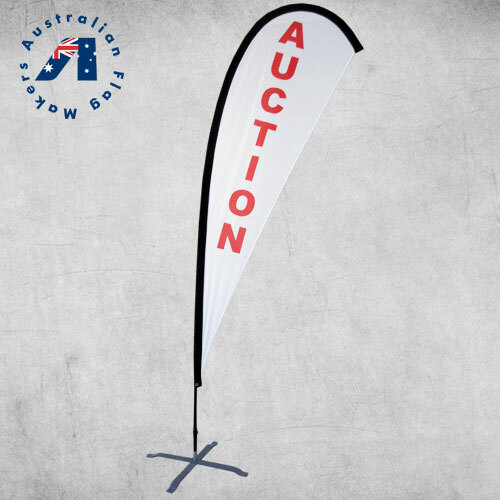 We supply teardrop banners to customers located in Brisbane, New South Wales, Victoria, Western Australia, and the Northern Territory. 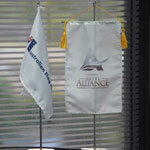 We strive to provide fast and reliable service. 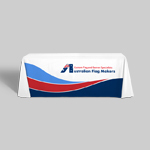 Contact us today and we’ll make sure your business or event gets noticed with a custom flag! 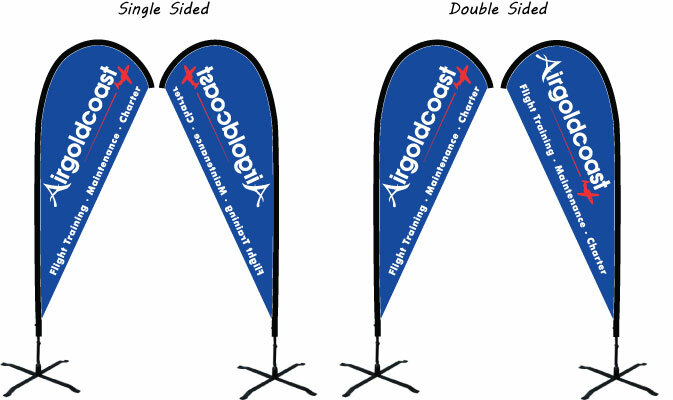 Custom Teardrop banner flags are a great way to display your company logo, slogan, or message, no matter what the weather conditions. 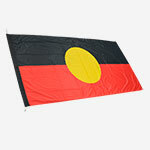 Their sturdy construction ensures that the flag flies, no matter what the wind speed. 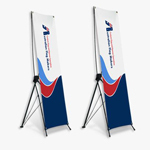 Our line of printed teardrop banners utilize an eye-catching design to ensure they are visible to potential customers, clients, and visitors. 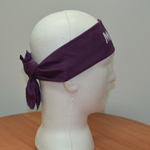 They come in multiple sizes and styles, in addition to four base choices. 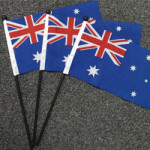 No matter what flag you choose, they are all sturdy enough to be used both indoors and out. 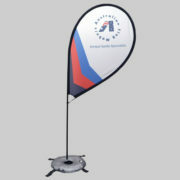 Teardrop signs are a unique way to promote trade shows, storefronts, exclusive events, and more! 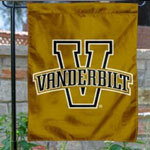 Everything about our teardrop banners is completely customizable. 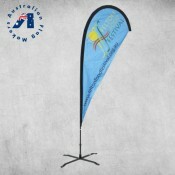 In addition to multiple size and base options, each flag can be purchased single sided or double sided. 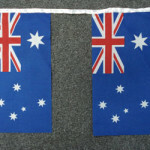 Single sided banner flags are printed on one side, which means the print on the backside of the flag will be in reverse. 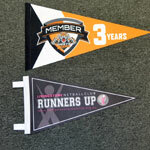 Double sided banner flags allow you to read the print on both the front side and back side. To create this look, we print two separate teardrop shape flags and sew them together with an additional panel sewn in between. 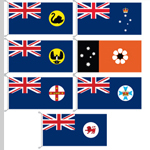 The additional panel ensures that print from one side of the flag cannot be seen through the other side of the flag. 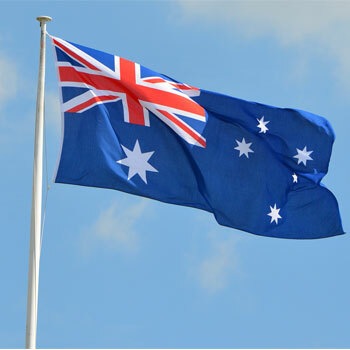 Your flag should be completely customized to your message. 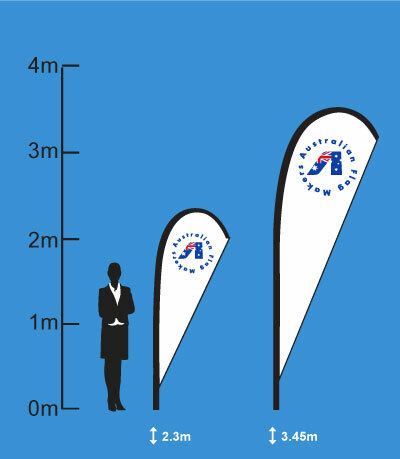 That’s why we offer both small and large teardrop banners. 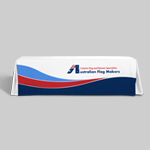 A promotional flag is only as good as the materials and construction methods used. 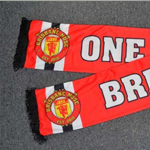 Our high-quality flags are made out of a durable 200D knitted polyester that can withstand the elements. 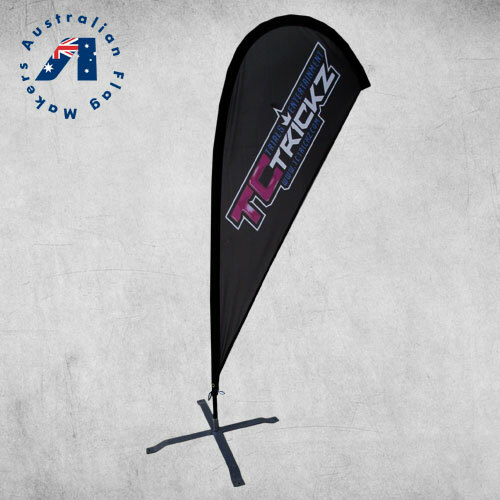 Each flag utilizes a black reinforced header, to keep the flag steady, as well as triple stitched construction that prevents tearing. 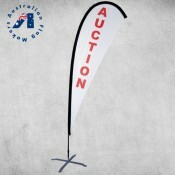 Our entire line of teardrop signs can be ordered as a single sided flag or a double sided flag with three layers. 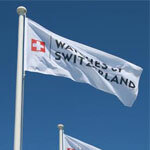 Each flag is digitally printed using inks and dyes that offer UV protection. 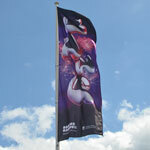 Each pole will contain two or three pieces, depending on the size you choose. 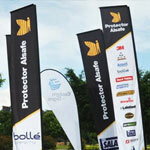 Each pole is made out of carbon fiber, which makes the pole both durable and flexible. 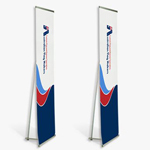 By using state-of-the-art printing methods, our teardrop banners are manufactured and printed to unbelievably high standards. 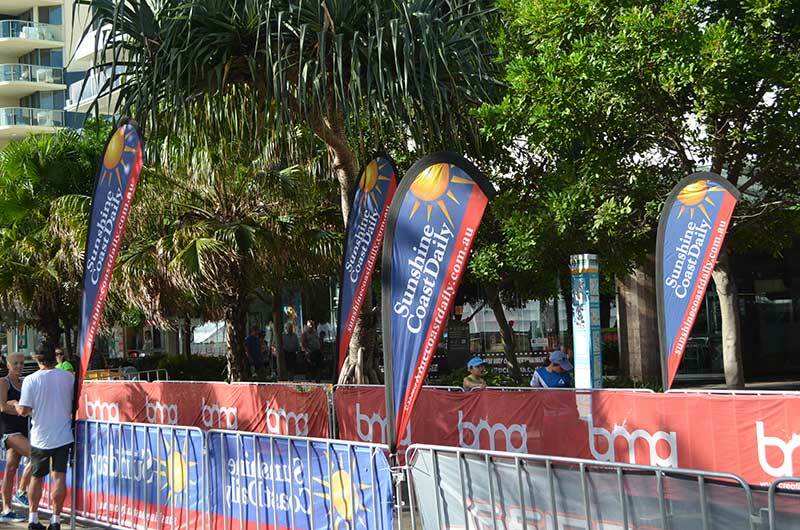 Together with our customized flags, our teardrop banners are digitally printed and heat set to ensure the banner is water resistant and can withstand the sun’s rays. 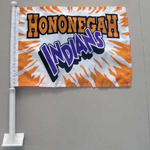 Our digital printing process produces sharp, striking results with no minimum color, making these flags ideal for small orders. 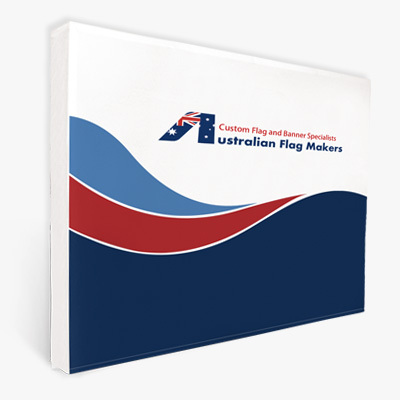 Our flags are digitally printed using PMS colour matching charts to ensure that your particular design is striking and vibrant, no matter how complex your custom design might be. 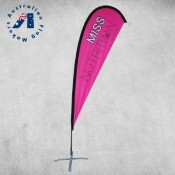 There’s no need to get stuck displaying your flag in a single area when you order your teardrop banners from us! 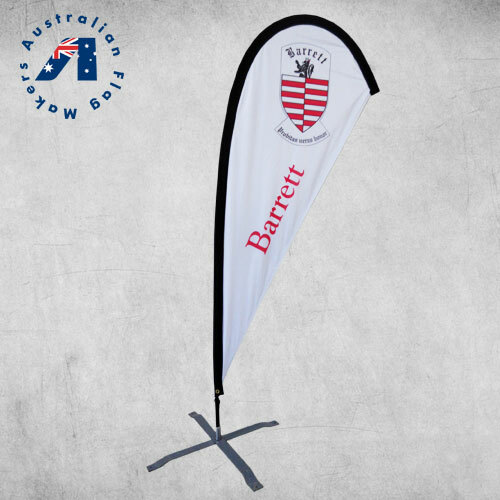 We offer four separate base options so you can easily fly your flag in soft ground, in hard ground, mounted to a wall, and more! 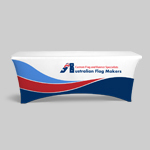 The inground spike base is perfect for displaying your flag in grassy areas, beach areas, and garden beds. 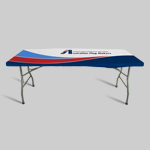 The four-leg base is suitable for hard flooring and cemented areas, making it the perfect choice for indoor displays and exhibitions. 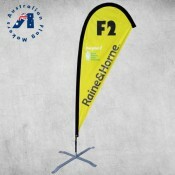 We also supply a FREE water bag that can be placed over the base so the flag can be displayed without it toppling over. 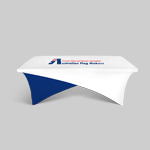 The car wheel base is perfect for real estate agents with open houses, car lots, and many other events. 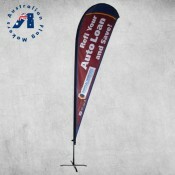 The wheel of any car rolls over the base to keep the teardrop flag steady. 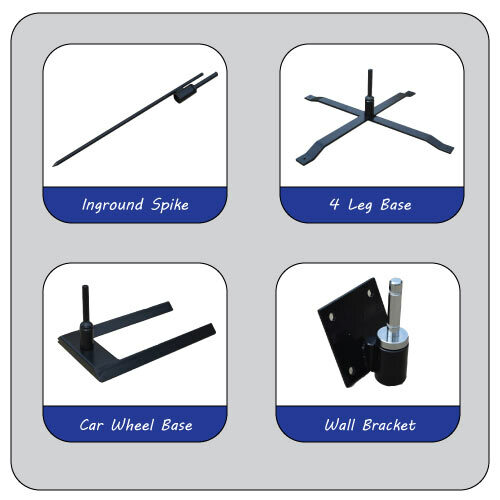 The wall bracket is the perfect base if you’re looking for a permanent installation. 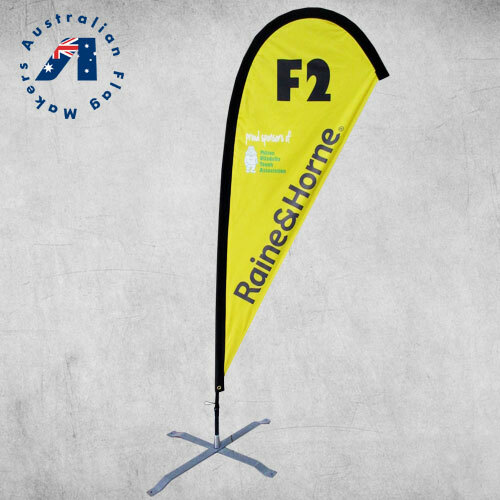 This bracket is able to mount feather flags, teardrop flags, and rectangle banners to the wall. All the bolts and hardware are included. 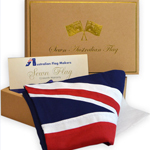 Click here to design your own flag online with our online designer tool! 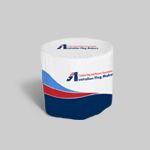 It allows you to choose custom colors, text, and clipart. You can even upload an image from your computer! 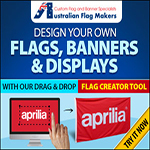 Looking for a more hands-on approach to your banner design? 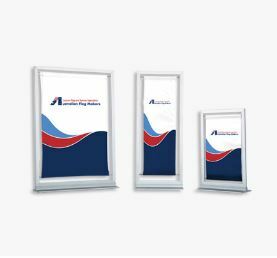 Simply click on one of our PDF templates below and customize your banner with the help of a computer program, like Adobe Illustrator. 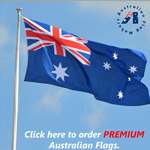 Need help designing your own flag? 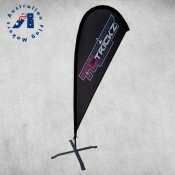 Contact us today and we’ll make sure your teardrop flag is designed to your exact specifications. 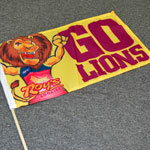 HOW ARE DISPLAY FLAG BANNERS USED? 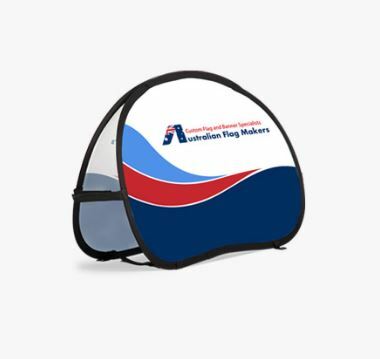 Using custom printed teardrop banners to promote your business is extremely important, but knowing the best way to use those advertising flags can be a challenge. This is especially true when you choose a unique shape. 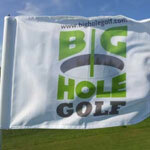 Fortunately, figuring out when to use teardrop banners is a lot easier than you think. The great thing about teardrop flags is that they are able to entice potential customers and clients when other banners can’t. 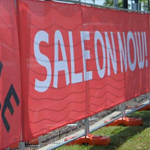 When driving down the street, potential customers may not even notice your business, especially if you’re depending on them to see the sign on the front of your building. In order to read your sign properly, the driver has to look out the side window, which isn’t likely to happen. Even if the driver does see your sign, they may have no idea what kind of goods or services you have to offer because they drive by so quickly! 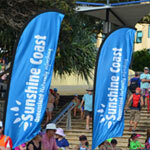 Printed teardrop banners can change all that. 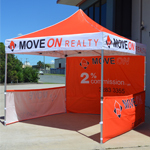 They are completely portable, which means you can arrange them on your property however you like. 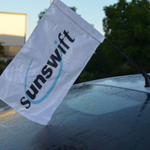 They are especially effective when placed close to the street or sidewalk because drivers can easily see your sign out the front windshield. 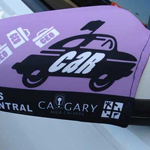 Whether you choose a double or single sided flag, vehicle passengers are sure to notice your teardrop banners and stop into your shop. 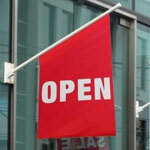 Teardrop banners aren’t just great for established brick and mortar stores. 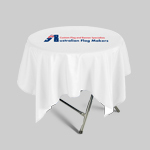 They can also be used at special outdoor events! Because we offer four unique base options, our flags are a great way to catch the attention of passersby at an outdoor sporting event, music concert, farmer’s market, and much more! 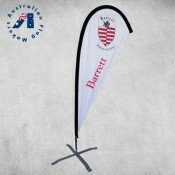 Our stylish curved flags can even be affixed to an exhibition display so that they can be seen above the crowd. 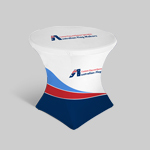 Advertising indoors is important too, especially if you’re setting up a booth at a tradeshow. 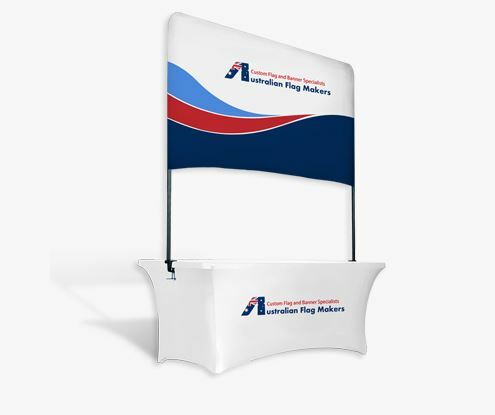 With a traditional hanging sign, you’re depending on visitors to look into your booth in order to determine what you have to offer. 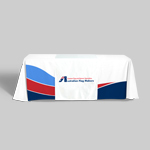 Some tradeshows can host hundreds of booths, which means yours is likely to get overlooked, but that won’t happen when you use teardrop banners. 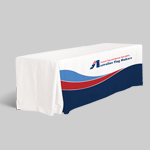 Instead of counting on visitors to look into your booth, you can easily set up teardrop banners right outside of, or next to, your booth. 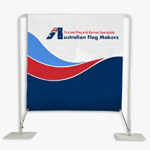 The flags can be oriented so that they face oncoming traffic, which means visitors can quickly read your flag without the need to stop and look inside your booth. 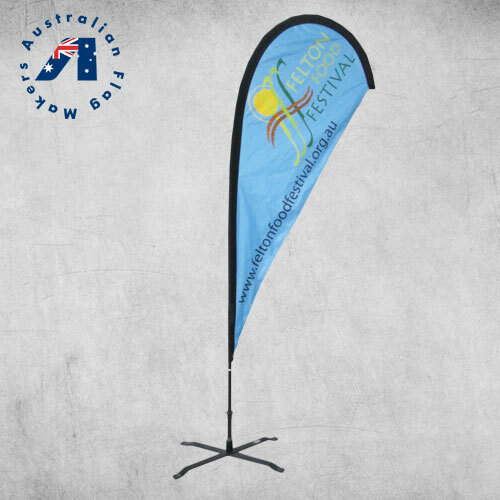 Just like outdoor exhibition displays, teardrop banners can be affixed to your indoor exhibition display so they can be seen above the crowd. 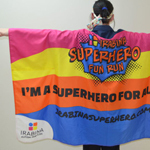 Whether you choose to use our durable polyester teardrop banners indoors or out, the message and logo can be completely customized. 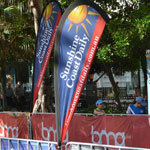 That means you can design a teardrop banner to fit your needs. 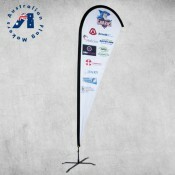 Instead of using the banner to promote your business, consider using one to promote a special deal! Want to offer a discount for adult haircuts on Tuesdays? 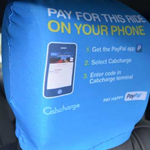 Or maybe you’ve just reduced the price of an oil change in an effort to attract new customers? 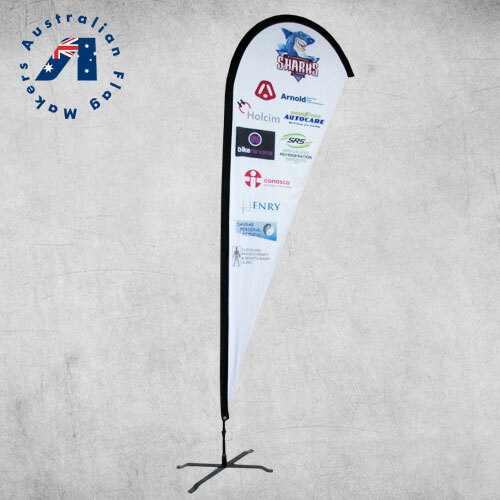 No matter what kind of business you run, using teardrop banners are a great way to show new customers how they can save money by visiting your store.